The library contains a wide selection of books, articles and reports on mother tongue education, bilingual/multilingual education and education of indigenous peoples and ethnic minorities. It is ordered alphabetically by geographical location. The library is continually being updated, so check back regularly. If you would like to add a book, article or report, please send us an email: info@rutufoundation.org. OECD report with a chapter on Language barriers, providing statistical information based on PISA results on the persistent performance gap between immigrant and native students in OECD countries. Edited volume by Piet van Avermaet a.o. with findings on educational approaches around the globe that use students' multilingual repertoires as pedagogical resource for learning and teaching." This book by Ingrid Piller examines the connection between linguistic diversity and inequality in employment, education and community participation. Chapter 3 of this joint UNESCO/UNICEF report on out-of-school children focuses on the language barrier in education. Comparative studies of education systems around the world, with a focus on non-dominant languages and cultures in education. Edited volume by James Tollefson offers case studies from around the world. Papers and presentations of the 10th International Language & Development Conference held in Cape Town, South Africa. Policy Brief from the Global Campaign for Education to inform policy makers on increasing literacy rates, including latest developments from around the world. A review of research and practices in second language literacy learning. Results of an action research project on how multilingual education initiatives can be scaled up. Review of research and program reports on mother tongue based bilingual education. Study aimed at senior policy makers as well as donor agencies supporting basic education in low and middle income countries. Great summary of the mother tongue education land scape past and present by Jessica Ball, a leading global expert. Based on UNICEF's rights based approach the author focuses on mother tongue based bilingual education for indigenous peoples. Important report on indigenous peoples' right to education. Examples from around the world showing how multilingual schooling can be provided for indigenous and minority children. A comprehensive examination of the history and current state of bilingual education programs through the world. Four useful cases to help inform educators and decision-makers when to consider mother tongue-based bilingual or multilingual education programs. Rutu Advisor, Carol Benson, looks at mother tongue-based schooling as an effective strategy for addressing girls' school participation. The author, leading expert Ofelia Garcia, questions dominant beliefs about bilingualism and asks what language practices we need to nurture minority language students. OECD report providing government policy advisors and programme designers with insights on successful practices to support strong futures for indigenous peoples across the world. This World Bank paper outlines the benefits of first language instruction, covering increased access and equity; improved learning outcomes; reduced repetition and dropout rates; socio-cultural benefits and lower overall costs. Guidelines for policy makers outlining the key issues concerning intercultural education. UNESCO Advocacy Brief explaining how mother tongue-based learning breaks down barriers to girls. Background study for the Education for All Global Monitoring Report. Summary of research findings by leading expert Jim Cummins. Discussion paper by Nadine Dutcher of the World Bank on the experiences of seven countries in teaching multilingual pupils. Article by Nelson Flores and Jonathan Rosa, critical assessment of linguistic approaches in education that do not take account of the racialization of students in the U.S. Article by Ricardo Otheguy, Ofelia García and Wallis Reid in which they explain the concept of translanguaging and why translanguaging of bilinguals should be encouraged rather than restricted in school. Guide for educators explaining how translanguaging strategies can be used to help bilingual students. Intended for US educators but also useful for teachers elsewhere. Language identity, ideology, and practice in the dynamic cultural world. Overview by Jim Cummins and others aimed at English as Second Language (ESL) teachers and policy makers on what matters in promoting academic success among English learners. Collection of chapters on bilingual education and revitalization efforts for indigenous languages in Mexico (Spanish only). A description of the Aguacate primary school in Belize as good practice in IBE. An important overview by leading expert Luis Enrique López. Paper on educational efforts by Makushi to maintain the culture and language. 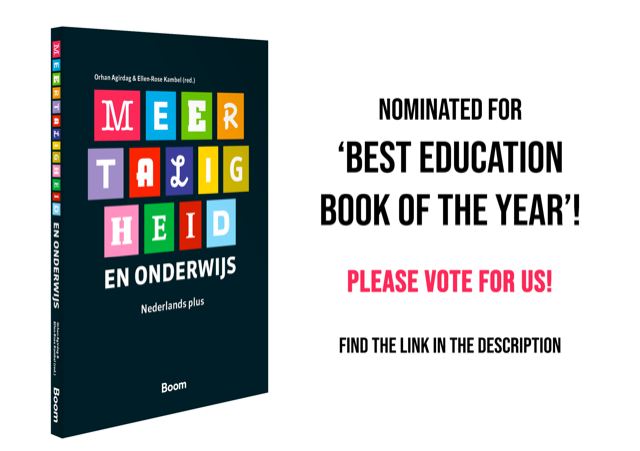 Handbook for teachers about multilingual education (in Dutch only). An integrated vision of bilingual education in six South American countries: Peru, Ecuador, Colombia, Brazil, Argentina and Paraguay. Results of a successful revitalization initiative by a Mohawk community in Canada. Practical tool for elders, community members, teachers and others involved in language and culture immersion. A how-to guide on establishing and operating playschool programmes for indigenous communities based on experiences in Malaysia. Programme Brief on a mother tongue pilot programme in Vietnam supported by UNICEF. Article on the underlying language planning of Singapore's bilingual education policy. Collection of articles demonstrating the necessity for a locally grounded curriculum with local languages to enhance African children's rights to education. Study of a mother tongue education pilot in Cameroon. Study of attitudes to home language learning and educational success in Namibia. An analysis of narratives in support of the introduction of indigenous languages in the education system in Senegal. Article discussing the particular challenges facing the indigenous San community in southern Africa.